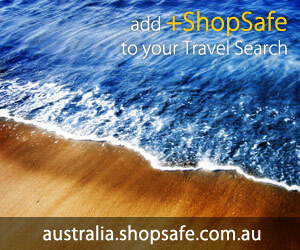 Health And Beauty - Personal Care - Massagers & Accessories - ShopSafe. There are 4 products in the Bad Back Store - Innovative, Top Selling Back And Joint Pain Products > Health And Beauty - Personal Care - Massagers & Accessories ShopSafe Category. Omni Foot Massager Description: Simple and easy to use, and is also beneficial as a very effective and versatile Full Body Massager to be used on any part of the body. etc. Buy this Omni Foot Massager today from US15.95 on the Bad Back Store - Innovative, Top Selling Back And Joint Pain Products website. Omni Massage Roller Description: This small massager fits easily into your day pack or handbag for a soothing massage anywhere anytime. etc. Buy this Omni Massage Roller today from US15.95 on the Bad Back Store - Innovative, Top Selling Back And Joint Pain Products website. Theracane Trigger Point Self Massager Description: Treat yourself to this amazingly simple yet effective Theracane self-massager that applies deep pain-relieving compression directly to hard, knotted trigger points. Able to reach any tense spot, this massager will ease your discomfort through its simple application. etc. Buy this Theracane Trigger Point Self Massager today from US34.95 on the Bad Back Store - Innovative, Top Selling Back And Joint Pain Products website. Jobri Dolphin Hand Held Massager Description: Christmas Special - Buy a Dolphin Massager, get a Hotties Microwaveable Heat Pad FREE! The Dolphin Hand Held Massager has strong massage action and is a dream to hold and use on the often hard to massage areas of the shoulder and upper back. Ease tired and tense muscles with the simple application o etc. Buy this Jobri Dolphin Hand Held Massager today from US199.00 on the Bad Back Store - Innovative, Top Selling Back And Joint Pain Products website.